There has been a significant increase in conversation about DCFC on the I-70 corridor triggered by the Colorado Energy Office. HCE’s territory may be seen as a key location for DCFC due to system proximity to the I-70 corridor specifically from Vail to Gypsum. With the development of 50-150kW chargers, charge times will be greatly reduced, a benefit specifically for EV owners traveling long distances. Future expectations of 350kW charging stations will continue to reduce EV charging time and make EV use even more attractive. While beneficial to EV charge times, DCFC stations bring with them concerns of infrastructure needs as well as revenue recovery challenges for utilities. HCE would like to support local community partners in their efforts to install DCFC infrastructure. HCE sees value in working collectively with community partners in developing a local system of DCFC stations in order to reduce drivers’ range anxiety and provide alternatives to charging at home and at work. 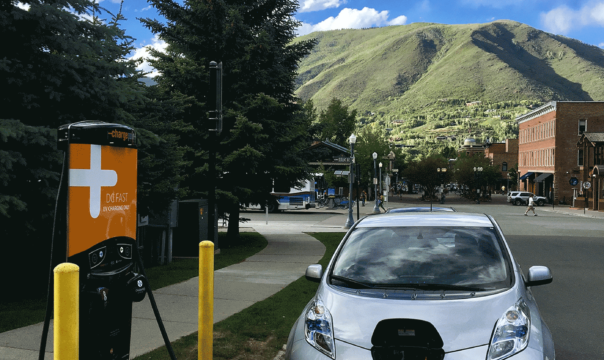 HCE has developed a DCFC plan with Garfield, Pitkin and Eagle counties to distribute Colorado Energy Offices funds for Level 3 charger installations. HCE is working with the Colorado Energy Office and other local community partners to provide ideal locations for DCFC stations. Do you have an idea where the next Level 3 fast charger should go?